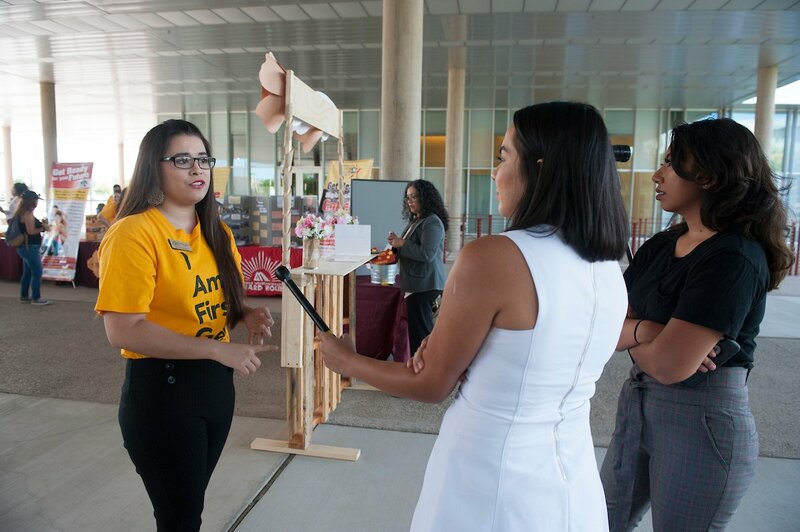 “We wanted to very deliberately and proactively and quite audaciously say it would be the vision of this college to seek to eliminate poverty, and in order to do that, it’s through education and attention on first-generation students,” Daniel Corr, Arizona Western’s president, told Inside Higher Ed. But many of these students face barriers that go beyond financial challenges. As first-generation students, they often don’t see themselves fitting in on a college campus. “They sometimes don’t have a role model at home. They doubt they truly belong in a college environment. Financial aid is daunting. Registration is daunting,” Corr said. In response, the college launched its “I Am First Gen” campaign, creating T-shirts and establishing a First-Generation College Student Day in November. First-gen students will even wear special stoles at graduation. Members of the school’s staff, about 40 percent of which also identify as first-generation, were encouraged to participate and showcase the kind of life students could have post-graduation.